Bo’ness United and Broxburn Athletic are the latest Junior clubs to initiate their plans for a move to the East of Scotland League next season, with Linlithgow Rose understood to be next to follow suit. Bo’ness have formally announced that they will be filing their application to become part of the pyramid system, joining an ever-growing list of clubs, with the deadline for submissions set for Thursday. Although no statement has yet been made officially, the Edinburgh Evening News understands Broxburn club members voted to make the move at a meeting on Monday night. A Bo’ness statement read: “Following a meeting and consultation with our members, Bo’ness United Football Club can confirm our application to join the East of Scotland football league for season 2018/2019. The scale of Junior clubs announcing their plans to leave the scene in recent weeks has been unprecedented. Dalkeith Thistle and Bonnyrigg Rose were first to reveal they were departing – the former first to announce in January – following in the footsteps of Kelty Hearts who were first to make the jump last season. More than 20 clubs are now signed up to make the move in the summer, changing the landscape of non-league football in Scotland dramatically with a two division East of Scotland League set to be drafted next month. Linlithgow members will vote to decide which path their club will take on Monday, June 4, although it is anticipated that the Prestonfield club will submit an application prior to Thursday’s deadline. 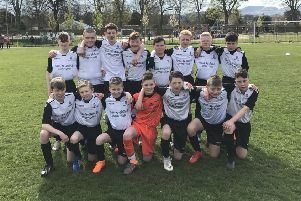 Meanwhile, East Region Junior chiefs have switched the Fife and Lothians Cup final between Midlothian clubs Newtongrange Star and Bonnyrigg to Penicuik Park next Wednesday after Broxburn’s Albyn Park in West Lothian was originally pencilled in to play host. The association opted to make the move after pressure from both clubs to switch the venue, bringing the final closer to home. Penicuik, meanwhile, secured their highest-ever finish in the Super League on Wednesday with a 3-2 home victory over Bo’ness United. The Cuikie, who last week announced they too will be joining the East of Scotland League, wrapped up third place. It was the perfect preparation for Johnny Harvey’s men ahead of Saturday’s East of Scotland Cup semi-final at home to Dundonald Bluebell. Striker Andrew Sinclair gave the home side the lead after 19 minutes with his first goal for the club after a recent move from Haddington Athletic. Bo’ness pulled level when Ryan Millar fired home, but Penicuik secured the victory after the interval thanks to goals from Aaron Ponton and Aaron Somerville, before BU captain Stuart Hunter grabbed a consolation goal late on. Newtongrange Star beat Linlithgow 3-1 at New Victoria Park. Goals from Scott McNaughton, Stephen Scott and Ali Forster secured all three points for Star with Colin Strickland scoring for Rose.